Choosing the school at which our children are to be educated is one of the most important decisions we make. We would like to take this opportunity to thank you for the interest you have shown in Abbots Farm Junior School and hope that this website will help you begin to get to know us and what we can offer your child. We offer a high level of care and individual support for every pupil in a happy and friendly atmosphere. 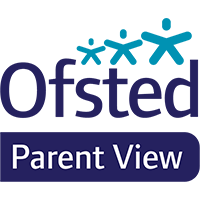 Our aim is to ensure that each individual pupil is given every opportunity to reach their full potential by developing effective relationships with pupils and staff that ensure highly successful learning and teaching takes place both in and out of the classroom. We pride ourselves in offering an outstanding education in a disciplined, productive and caring environment. A firm foundation for our success is the good relationship between the school, the parents and all other partners in the local community. In order to get to know us better, I urge you to pay us a visit, either during one of our open day events or by arranging an appointment. I look forward to meeting you and to welcoming you as part of our school community.